Youngjo Lee is Professor at Seoul National University, South Korea. 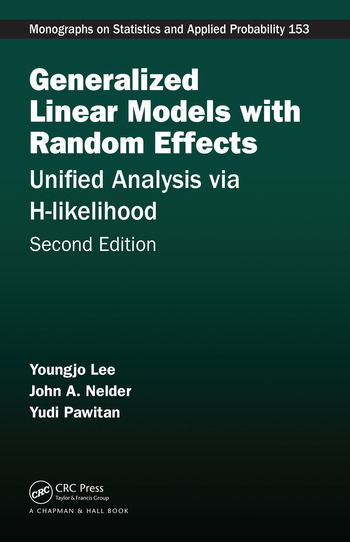 "Generalized Linear Models with Random Effects is a comprehensive book on likelihood methods in generalized linear models (GLMs) including linear models with normally distributed errors. … The book is suitable for those with graduate training in mathematical statistics. The level of mathematical detail is similar to that of McCullagh and Nelder (1989), with the focus shifted towards likelihood methods. All chapters contain examples with a fair amount of detail. The book is very broad and offers a comprehensive overview of likelihood methods." "… This book provides a comprehensive summary of [the authors' past work]. However, it is much more than that, and even statisticians who do not agree with their approach to inference will find much here of interest. 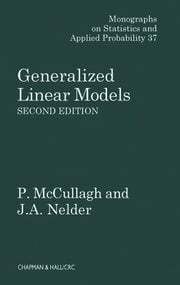 … some instructors might find this to be a useful text for a course on generalized linear models. … there are many ideas that will be useful for students to mull over …"
"The book is well written and replete with examples and discussions. With over 500 references, the authors have amassed an enormous amount of information in a single source." "The book’s material is valuable . . . There are numerous examples and applications, illustrated on the accompanying Genstat CD."